Stone Countertops at factory direct pricing. We are the Leader for granite, quartz and marble Countertops and Custom Kitchen Cabinets in Ottawa. Ottawa’s expert stone countertop & kitchen cabinet installers. We have the best prices on quartz & granite countertops and kitchen cabinets in the Ottawa and surrounding area. Factory direct pricing on granite countertops and kitchen cabinets. Get your dream kitchen for less! We specialize in professional kitchen renovations for residents in the Ottawa region. From traditional to contemporary styles, Capital Stoneworks offers kitchen solutions to suit every taste and every space. Give your kitchen renovation a personal touch with a quartz or granite countertop installation. We offer a wide selection of quality stone to suit every taste and renovation budget. View our selection online or live at our showroom. At Capital Stoneworks, we provide quality kitchen cabinet installations to give your kitchen a personal touch and flair that’s all your own. Our kitchen packages come complete with top of the line cabinetry, customized to suit your home and tastes. We use exact measurements and we’re prepared to make custom cuts on site. Leave the guess work to us. Capital Stoneworks is prepared to make your vision a reality. The natural beauty of Caesar stone brings warmth and personality to your home. We offer a large selection of Caesarstone samples to choose from, for your kitchen countertops. Our showroom located in Ottawa, will help you envision the impact natural stone has in making a house a home. We are a one-stop-shop for all your kitchen renovations. I want an estimate now! 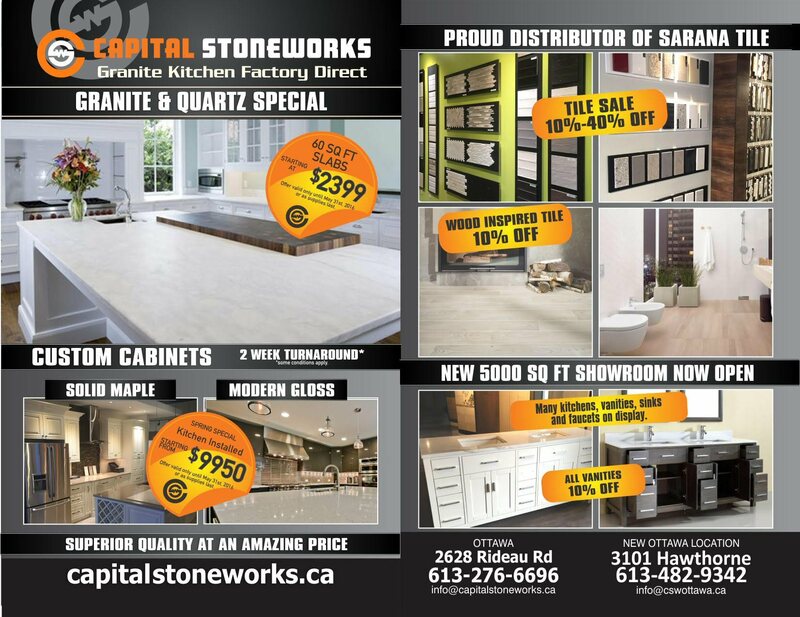 Capital Stoneworks are experts when it comes to countertops in Ottawa. 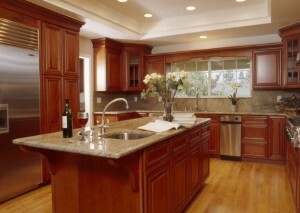 We are the leading supplier of granite countertops, Caesarstone and kitchen cabinets. The reason we are the leader is because we offer factory direct pricing on all of our products. In addition, we carry a wide variety of quartz and marble countertops, sinks, kitchen tile, range hoods, faucets, and fireplace stone to truly customize your kitchen. 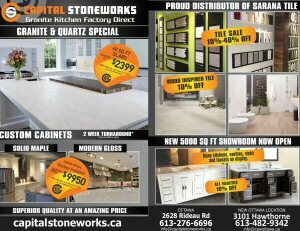 Capital Stoneworks specializes in professional kitchen renovations for homeowners in the Greater Ottawa Area. Whether you are looking to update your countertops or do a complete kitchen redesign, our experts are here to provide assistance from the very beginning. 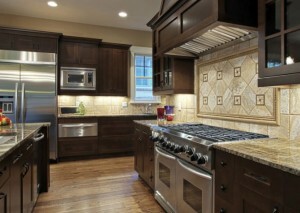 We take the time to discuss your needs and what you desire for your dream kitchen. We carefully explain all of your options you can utilize to achieve the desired results. For instance, you may want to update the look of your kitchen so it has a more modern appearance. Capital Stoneworks is pleased to come to your home and evaluate your current kitchen design. Next, we will provide a variety of options. In some cases, your current kitchen cabinets may be perfect for the renovation and could only need to be refaced, rather than replaced. Refacing is where the doors and exterior of the cabinets are transformed into a new design, while preserving the original cabinetry. Another option is to keep the existing colour of the exterior cabinets and replace the doors with a different colour to give the kitchen a new, trendy appearance, while also replacing the existing countertops with new granite, marble, or quartz countertops in Ottawa. If you want to completely redesign your kitchen from the ground up, our experts can do that, too. 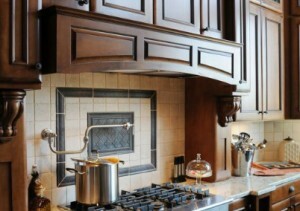 We are your one-stop shop for all of your kitchen remodeling needs. Our complete kitchen renovation packages include the highest quality cabinets, installation services, and onsite custom fabrication and countertop cutting services. We take the guesswork out of transforming your kitchen. Best of all, we work directly with you to create a truly customized and unique kitchen design for you to enjoy for years and show off to your friends and relatives! The process to start a kitchen remodel or renovation project at Capital Stoneworks is simple and easy. Our goal is to ensure our customers receive exceptional customer service with an attention to detail. To this end, we treat all of our projects like they were are only project to guarantee personalized service throughout the entire project. Even after the project is complete, we are here to help you maintain the appearance of your new kitchen. Certain stone and granite countertops in Ottawa require regular maintenance and sealing to maintain their quality appearance and design. In addition, we take the time to educate all of our customers on the best practices to use when using their new countertops to avoid causing accidental damage to them, like stains. When you are ready for a new kitchen, we invite you to stop by our Ottawa showroom to check out some of our custom designed kitchen packages. You are always free to gather inspiration and ideas from our showroom designs and incorporate those features and options you desire in your new kitchen. For more information or to schedule an in-home consultation, please feel free to contact us at 613-276-6696 and speak to one of our kitchen design professionals today.